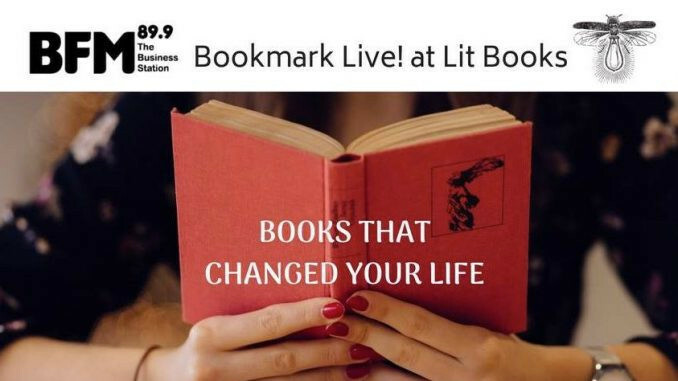 Lit Books, in collaboration with BFM 89.9’s Bookmark programme, will be hosting another Bookmark Live session on July 26 at 8pm. This is the third in the series, and attendees can expect lively discussion and debate between Umapagan’s panelists and from the audience. Come prepared with a book of your own! What’s a book you’ve read that changed your life? We’d love to hear your stories. Come share them on Bookmark Live! with host Umapagan Ampikaipakan and panellists, authors Chuah Guat Eng and Kam Raslan. Hi – what time is this scheduled to happen? Can I just walk in? Hello! It starts at 8pm and yes, you can just walk in.